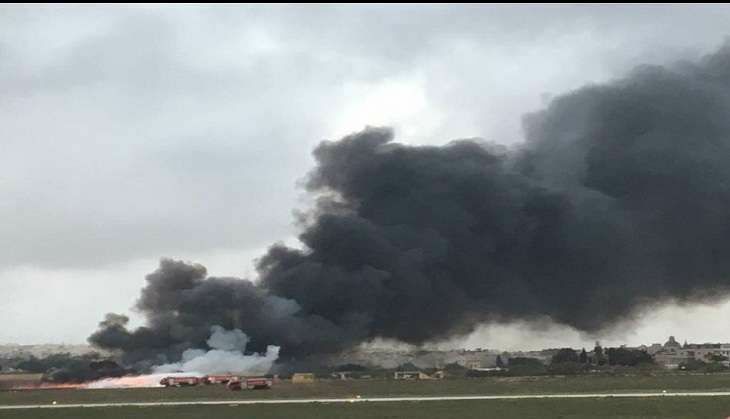 Tragedy struck at the Malta International Airport on 24 October, when a light aircraft carrying five officials of the EU border agency Frontex crashed, killing all passengers. In what has been billed as the nation's worst peacetime air accident, the twin-propeller Metroliner went down shortly after taking off from the Malta International Airport at around 7:20 am local time. An eye witness told the Times of Malta, that the propeller plane suddenly tipped to its right side and "went straight down to the ground", before exploding into flames. Flight services to and from the Malta International Airport have been suspended for the time being. There is no information regarding the identity or the nationality of the victims as of now. Malta's Bureau of Air Accident Investigation is expected to launch an inquiry into what caused the accident.